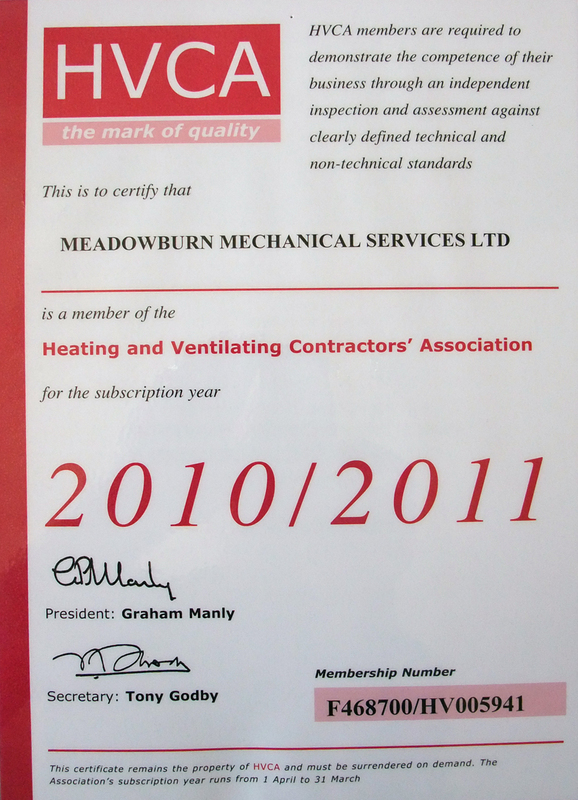 Meadowburn Mechanical Services Ltd is a member of the Heating And Ventilating Contractors' Association. HVCA membership comprises some 1,250 companies with 2,000 offices throughout the UK, a combined turnover of £2.5bn and a 50,000-strong workforce. It is estimated that HVCA members are responsible for the installation and maintenance of at least 80 per cent of the country's hvacr systems.